We like to think that as people of the 21st century, we’re rational. We like to think that the hysterias, witch-hunts, and persecutions of the past are consigned to stay in the past. If only it were so. For those who look closely enough, scapegoating, ignorance, and fear are as prevalent as ever and on display at the nearest courthouse where DUI cases are tried. Jurors fall prey to scare tactics, pseudo-scientific jargon, and unexamined presumptions about what constitutes intoxication or poses a real threat to their community. In the long run, the preservation of our constitutional rights is essential; otherwise, any citizen could simply be tossed in jail on trumped-up charges based on ignorance or prejudice – or merely being in the wrong place at the wrong time. Your rights were won by men and women who fought and sometimes died valiantly in their defense. 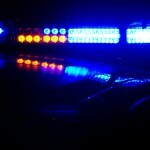 If you are charged with DUI in southern California, exercise those rights, and call an experienced Orange County DUI defense attorney as quickly as possible. Your right to a fair trial is threatened when jurors are overly-impressed by the lab coats of the forensic technicians or the shiny badges of the police officers. 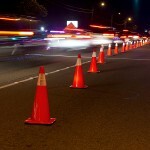 Many DUI cases are based on assumptions, prejudices, and carelessness. When you’re charged with DUI, it takes a skilled and experienced DUI attorney to cut through the fog and confusion that prosecutors and their witnesses can create. 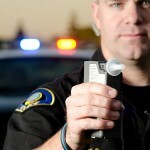 DUI is charged more than any other crime in the United States. No other crime is the subject of more public service announcements; no other crime creates more recidivism. And in no other area of the law are so many dangerous repeat offenders placed back on the street while thousands of probably harmless first-offenders are so harshly and so often unjustly punished. It’s a crazy system, and it needs to be fixed. While we wait for that – it will probably not happen soon – if you face a DUI charge in southern California for any reason, now or in the future, get the help you’re going to need and speak at once to an experienced Orange County DUI defense attorney.